This is a Marvel Legends 6" inch Wasp review. 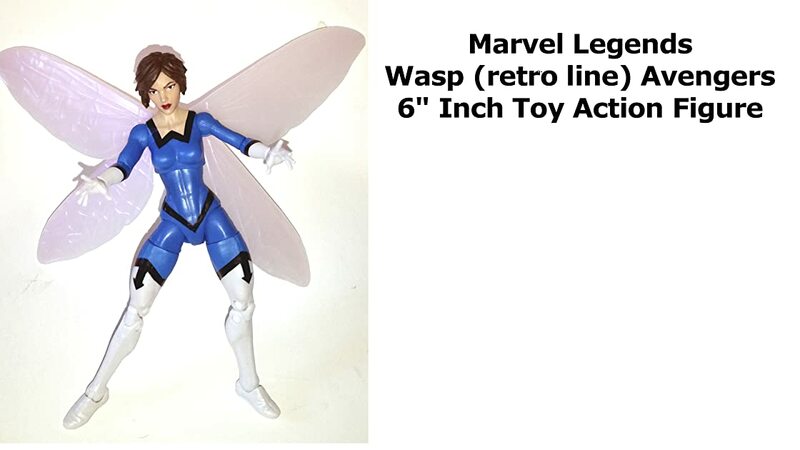 (Part of the Retro series 2 wave) This Wasp is based on the comic book look of the character, but it's also based on a rare Toy Biz design. Hasbro has done an incredible job it's well sculpted, detailed and articulated. A fantastic addition to any Marvel Legends display.